By showing gratitude, you not only affect others around you by making them feel welcomed and appreciated but you also show your kindness and thankfulness and that goes a long way. When you’re happy with the things you have, you are content and at peace. In this course, you will discover the many benefits of gratitude including how it can be learned, how to strengthen your relationships and friendships, the effects of meditation, how to become more optimistic and energized, how to find more meaning in life, how to socialize better and much more. Gratitude is a quality that everyone possesses if we reach in deep enough but it’s just not shown nearly enough in a world where people are overly judgmental and have a me-first attitude. When you appreciate people more, you become more magnetic and more charming. By harnessing the power of gratitude, you will see all aspects of your life elevate in a positive way including your success. It has the power to heal you, to empower you, and to motivate you. 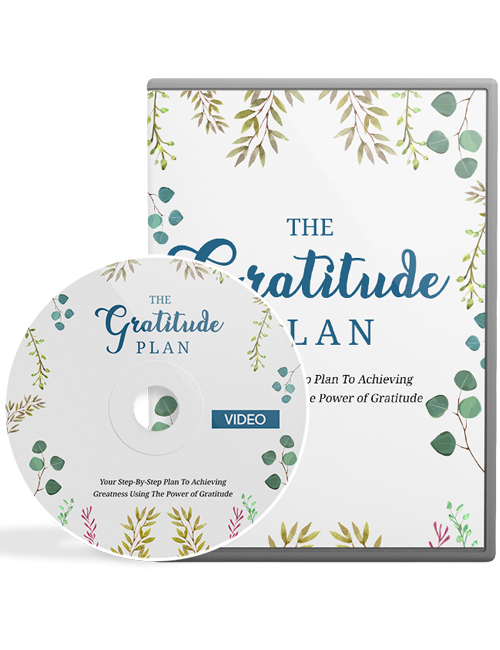 You’re going to see the real benefits of gratitude in this extensive video course and how it can truly help you. You can also get The Gratitude Plan Ebook with this series. When you’re ready, hit the download button.